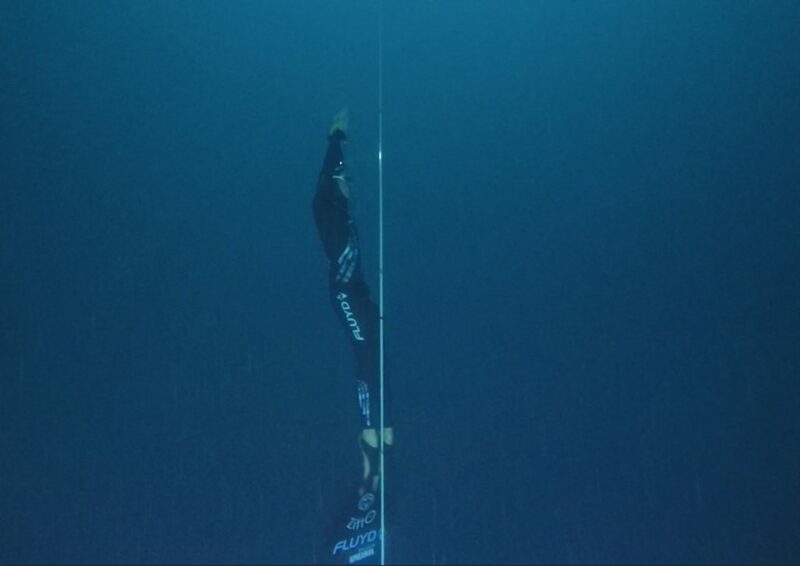 This incredible world record attempt saw a dedicated freediver reach the staggering depth of 107 METERS (351 FEET) – more than the length of a football field. Reaching a depth that no woman in the sport had hit before, Alessia Zecchini held breath for more than three-and-a-half minutes in order to complete the remarkable feat. In the footage, relaxed Alessia, from Rome, Italy, can be seen calmly swimming to the base of the 107-meter rope as support divers surround her. 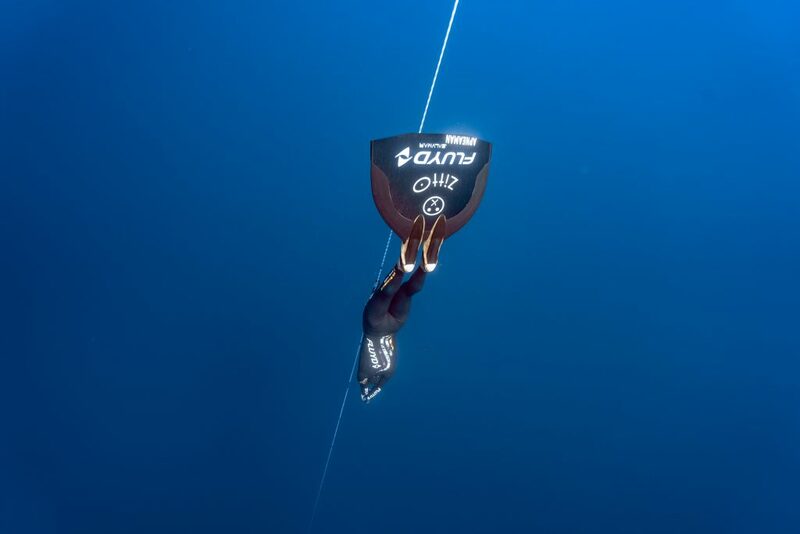 In the medium she competes in – constant weight apnea – freedivers descend and ascend using fins or a monofin, and they are allowed to use their arms without pulling on the rope or changing their ballast. Grabbing the rope is only allowed to stop a descent or to start an ascent. 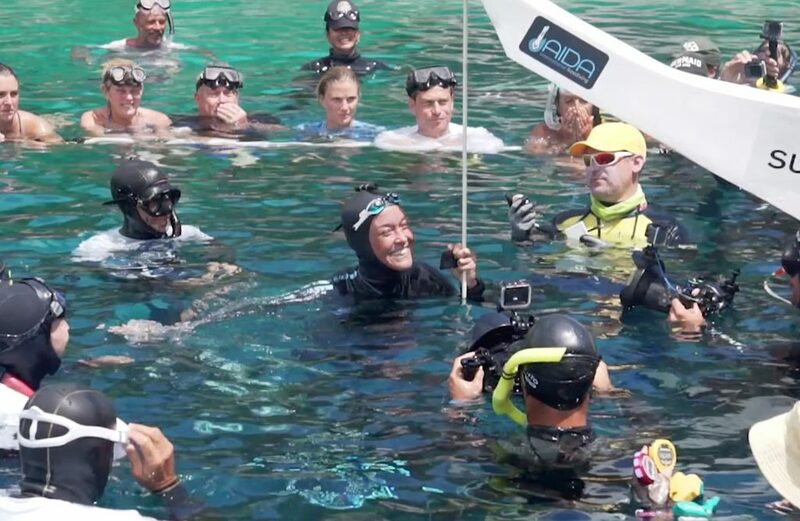 Alessia’s record-breaking dive took place at the VB 2018 Diving Championship, in Deans Blue Hole, Bahamas, on July 26. As she rose to the surface, cheers erupted from the surrounding ground. The new record added an additional five meters to a distance Alessia set in 2017. The 26-year-old diver, who took her first apnea diving course at 13, said: “I tried not to think about anything, only to focus on what I’m doing and try to feel positive feelings. “I was very happy and satisfied – it was such a beautiful dive with very nice feelings. “My first time in a pool was when I was 11, in a swimming school. “Since I was younger, I loved to swim and try to go deep in the sea during holidays.